J.C. Sturm (1927-2009) was born in Taranaki and spent much of her life in the Wellington region, finally at Paekakariki, where several of her family were living. Her poems first appeared in student magazines in the 1940s making her the first Māori author in print. Since the 1950s her stories, articles, reviews and poems appeared in several journals and anthologies in New Zealand and overseas. From 1970 until her retirement Jacquie worked in the Wellington City Library. Her book Dedications, from which this poem is taken, won the Montana Poetry Honour Award in 1997. 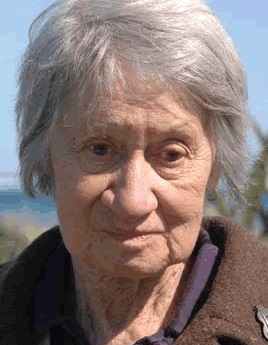 J.C. Sturm was the 1st Māori women to be awarded an M.A. and in 2003 was awarded an Honorary Doctorate of Literature by Victoria University of Wellington.